I know, you’ve already had to study biology/physiology much more than you ever wanted to. But bear with me. This post will help you better understand the already posted article on “Progression”( I suggest you re-read it HERE ) and the upcoming post on “Periodization”. I’ll keep it as brief and as painless as possible. Don’t get too hung up on this if you are just a recreational athlete or just an average Joe who wants to get fit. Just understand that it exists and you’ll better understand how to work out longer term goals for yourself. Slow Twitch Fibers are slow to contract but can hold a contraction for long periods of time. They are ideal for endurance exercises and fatigue resistant but exert a low level of force (think marathon runners, long distance cyclists or cross country skiers). The average sedentary individual’s muscles contain around 50% Slow Twitch Fibers. But trained endurance athlete may have up to 90% Slow Twitch Fibers. Fast Twitch Fibers produce quick contractions, an explosive burst of power in a short period of time. They are most suitable for stop and go activities. (Think basketball, soccer, and hockey and weight lifting). They are less fatigue resistant but produce more force faster than Type I. Type IIb fibers are the most easily fatigued but generate the most power and force. They are ideal for activities requiring an all out burst of power for a short period (Milliseconds). Type IIb fibers are the last fibers to be recruited to accomplish a task. (Think power lifting). 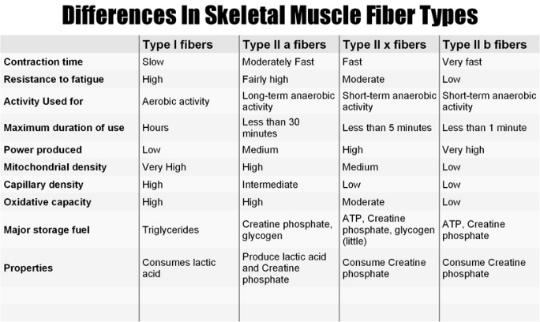 Most of us are not cross country skiers (who have more Type I fibers) or professional hockey players (who have more Type IIa fibers or power lifters (who have more Type IIb fibers. 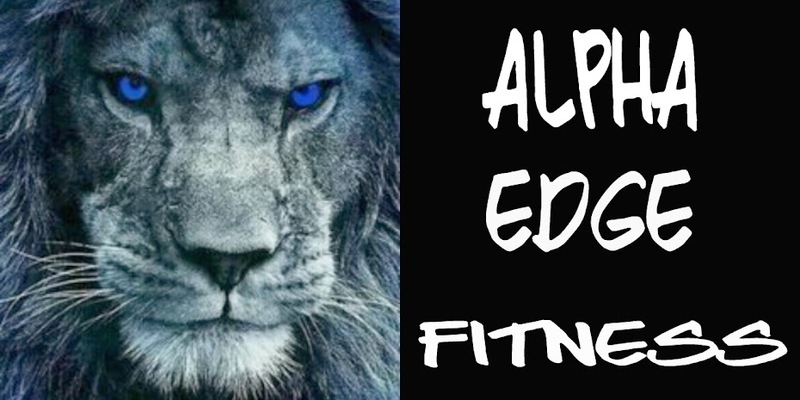 We are week end warriors who just want to be fit with some combination of stamina, athletic ability and strength and muscle mass to help lose fat. You can devote 100% effort to gaining mass but the trade off is stamina and sometimes strength. You can give 100% to stamina but the trade off is strength and muscle. So how do we achieve a balance? How do we stimulate all 3 types of muscle so that all 3 grow larger and stronger? I’ll show you when we cover Periodization in tomorrow's article.